The USS Arizona was commissioned on October 17th, 1916 and was sunk on December 7th, 1941 during the Japanese attack on Pearl Harbor. 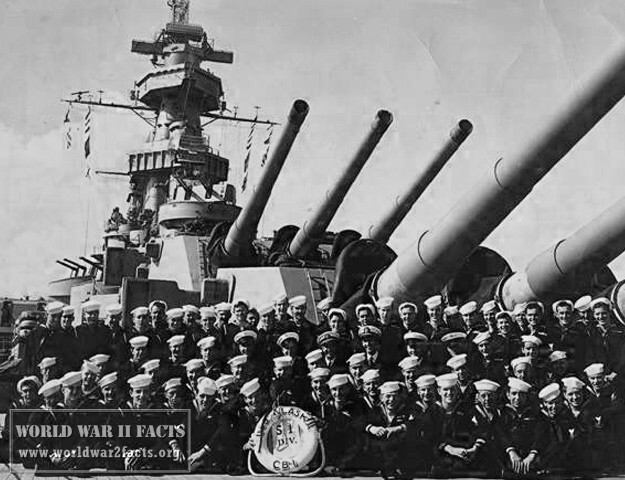 The fatal blow to the ship came from a 1,760 pound bomb that was able to pierce the armor of the battleship. Today, the USS Arizona Memorial lies overtop of the wreck of the USS Arizona and was dedicated on Memorial Day 1962 after receiving financial backing from Elvis Presley. Due to the limited number of seats onboard the National Park Service tour boat that transports visitors to the memorial, there are only 4,500 tickets sold daily to visit the Arizona to honor the 1,177 sailors who died on Pearl Harbor Day. The forward magazines of the U.S. Navy battleship USS Arizona (BB-39) explode shortly after 08:00 hrs during the Japanese attack on Pearl Harbor, Hawaii (USA), 7 December 1941. The USS Arizona (BB-39) burning after the Japanese attack on Pearl Harbor, 7 December 1941. 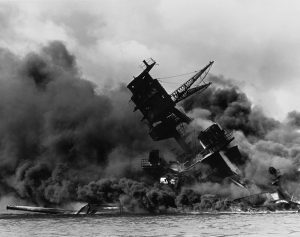 USS Arizona sunk at en:Pearl Harbor. The ship is resting on the harbor bottom. The supporting structure of the forward tripod mast has collapsed after the forward magazine exploded. 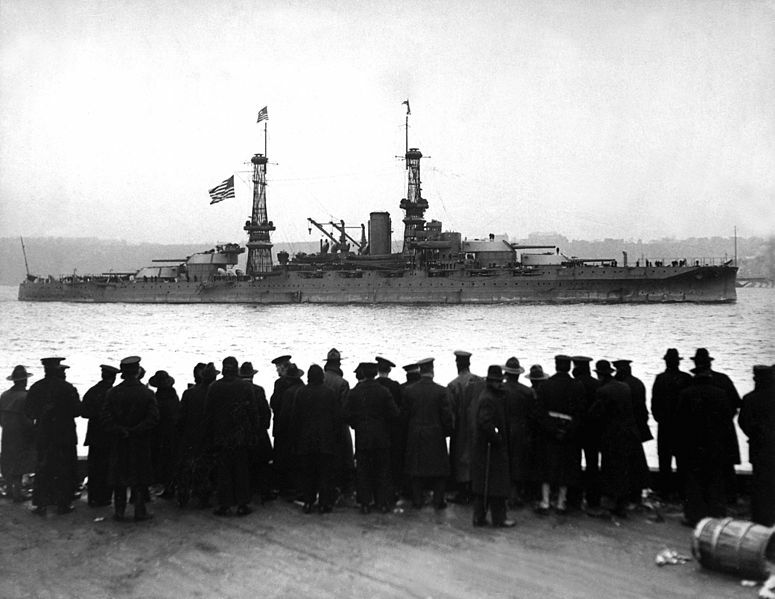 The battleship Arizona was first laid down on March 16th, 1914 at the Brooklyn Navy Yard. She was launched on June 19th, 1915, and commissioned at the building yard on October 17th, 1916 with Captain John D. McDonald in command of the ship. She departed the shipyard on November 16th, 1916 and conducted shakedown training off of Newport, Rhode Island and Virginia Capes. 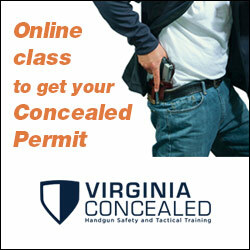 Once the training was completed, she traveled to Guantanamo Bay, Cuba and returned to Norfolk in December. The Arizona returned to the building yard just before Christmas for the post-shakedown overhaul and alteration installation. On April 3rd, 1917 she would pull into Norfolk but would not travel to Europe before World War 1 was over. Soon after the armistice that stopped the war on November 11th, 1918, the Arizona sailed for Portland, England and met the George Washington transport ship that was carrying then United States President Woodrow Wilson to the Paris Peace Conference. 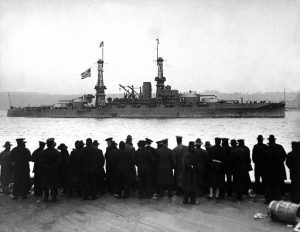 The ship would be part of the honor guard that escorted the president to Brest, France on December 13th, 1918. The Arizona then took part in Operation Magic Carpet, transporting 238 American veterans home to New York on Christmas Day, 1918. 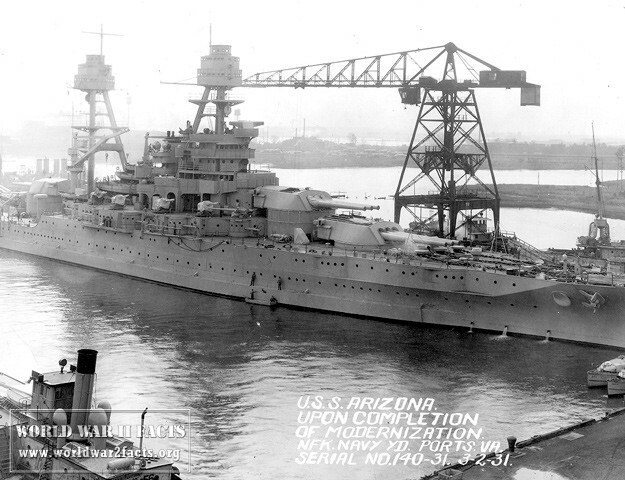 Arizona would return to homeport on January 22nd, 1919. She would participate in operations and exercises across the world over the next ten years until being placed in a reduced commission status on July 15th, 1929 to being a significant overhaul period. The ship would be placed back into full commission on March 1st, 1931. United States Pacific Fleet would be kept in Hawaii at Pearl Harbor. The Arizona would remain in Hawaii until the summer of 1940 when she traveled to Long Beach, California and ultimately to the Puget Sound Navy Yard located in Bremerton< Washington. The last “Change-of-Flag” command ceremony held onboard the ship occurred on January 23rd, 1941 when Rear Admiral Wilson was relieved by Rear Admiral Isaac Kidd. 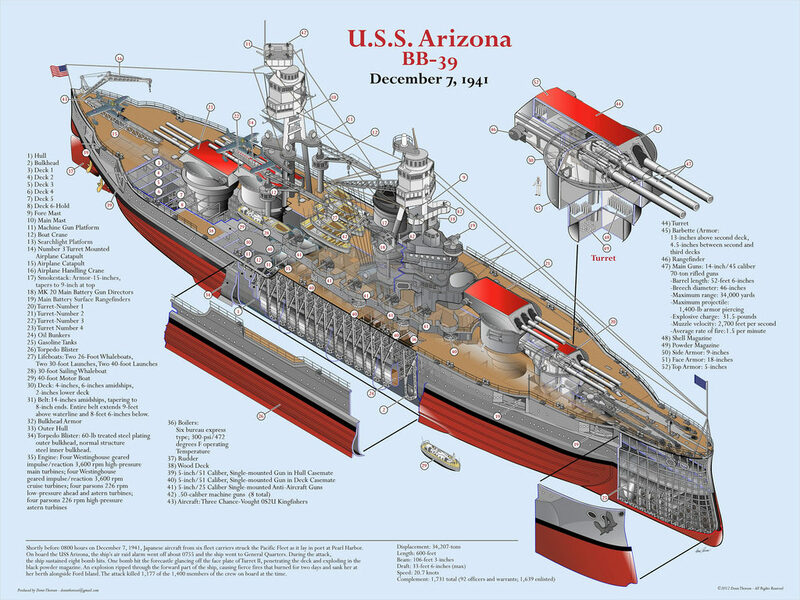 The Arizona returned on February 3rd, 1941 to Pearl Harbor and immediately plugged into the training being conducted by the U.S. Pacific Fleet. The ship would make a final trip to the west coast of the United States pulling in to Long Beach for a short visit before returning to Hawaii on July 8th, 1941. Arizona and her crew would continue to train and conduct fleet exercises for the next several months. On October 27th, 1941, the ship underwent a minor overhaul at the Pearl Harbor Navy Shipyard where she received the foundation for a search radar on top of the foremast. The Arizona, Nevada (BB-36), and Oklahoma (BB-37) conducted a night firing exercise the evening of December 4th, 1941. All three of the American battleships would moor at the quays located along Ford Island on December 5th, 1941. Since the Arizona was scheduled to receive a tender availability, she took the Vestal (AR-4) repair ship alongside her on December 6th, 1941. On the morning of December 7th, 1941, the two ships were moored alongside each other with Rear Admiral Kidd and the Arizona’s captain, Captain Franklin Van Valkenburgh onboard. Just prior to 0800 Hawaii time, the Japanese aircraft from six Imperial Navy aircraft carriers commenced their attack on the United States Pacific Fleet while it was inport Pearl Harbor. The two waves of attack aircraft would inflict significant damage on the fleet as well as various military and air facilities around the navy base. Five minutes prior to colors onboard the USS Arizona, the air raid alarm was sounded at 0755 and the ship was placed at General Quarters. As best as it could be ascertained, the ship took eight bomb hits shortly after the attack began. One of the bombs hit the ship’s forecastle, went through the deck, and exploded in the black powder magazine. This explosion resulted in the adjacent magazines exploding. 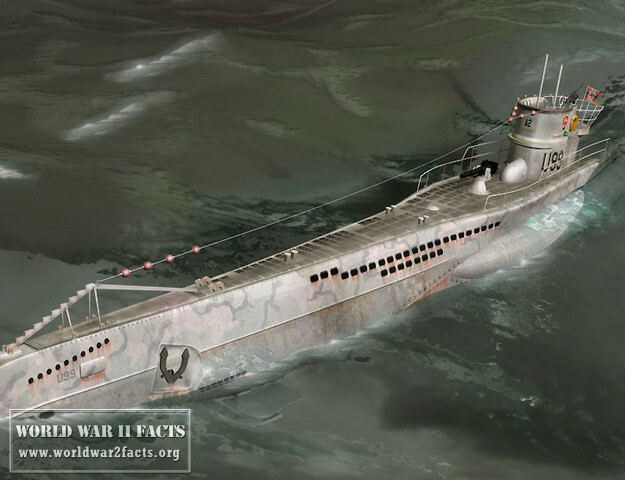 As a result, a large explosion would rip through the front-end of the Arizona. The fires resulting would continue to burn down for two days and debris from Arizona was found on Ford Island and the surrounding vicinity of Pearl Harbor and ultimately sank the ship. 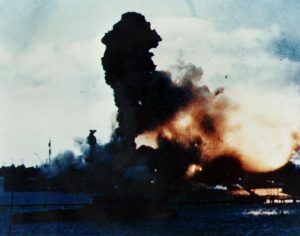 fighting her through the point of the magazine explosion that sank the Arizona as well as Rear Admiral Isaac Kidd who was the first U.S. Navy Admiral to be killed in the Pacific Theater of World War II. When the USS Arizona was sunk, 1,177 sailors (of the 1,400 onboard the ship) lost their lives. 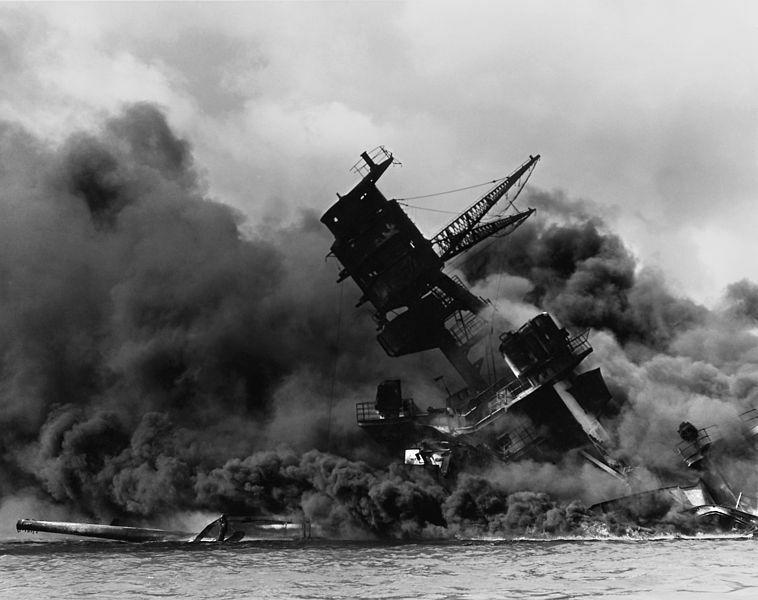 This represented more than half of the deaths suffered by the American Fleet during the attack on Pearl Harbor. 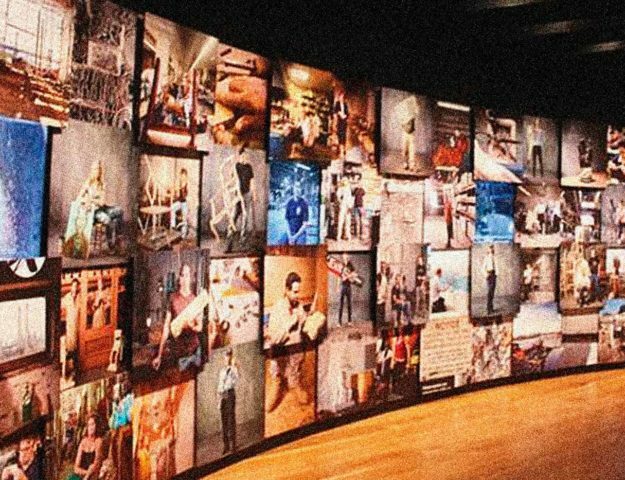 The ship would be struck from the U.S. Naval Vessel Register on December 1st, 1942. The wreck was subsequently cut down so that the amount of the superstructure visible above the water was minimized. The U.S. Navy would also remove the main batter turrets and guns and install them as coastal defense weapons. 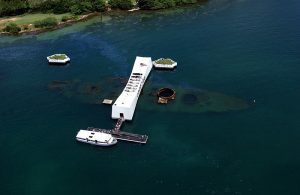 The USS Arizona wreckage remains on the bottom of the harbor at Pearl Harbor as a memorial to the crew who lost their lives on that Day of Infamy. Rear Admiral Arthur W. Radford, CICNC Pacific Fleet, instituted the raising of colors over the remains of the ARIZONA on March 7th, 1950. The wreckage was later declared to be a National Shrine during the Eisenhower and Kennedy administrations, and the Arizona Memorial was dedicated on May 30th, 1962. Today, up to 4,500 tourists visit the Arizona Memorial daily. Interactive USS Arizona Memorial Website, last viewed December 7th, 2013. USS Arizona (BB-39), 1916–1941—Online Library of Selected Images (US Navy), last viewed: December 7th, 2013. USS Arizona Memorial – National Park Service official website, last viewed December 7th, 2013.